This is an update to the original posting to show the special postmarks available for day of issue of this sheet. 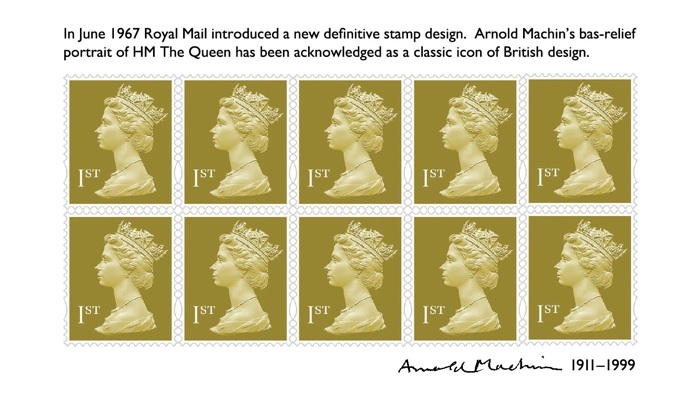 As reported here, Royal Mail have decided to mark the centenary of the birth of the sculptor Arnold Machin with a souvenir sheet of ten definitive stamps bearing his iconic image of HM The Queen will be issued on the opening day of Stampex, 14 September. The sheet will have conventional gum, but will have "full security features except for the security slits" according to the publicity information we have received. As this is a new source (miniature sheet) for security definitives it is to be expected that a new source code will be used. 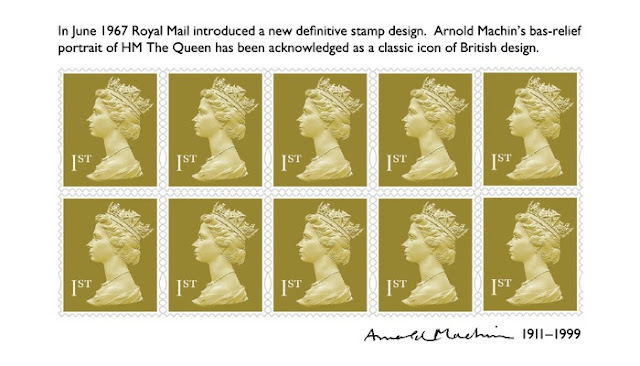 Updated: we have been told that the sheet is printed by Walsall in gravure, and has PVA gum. 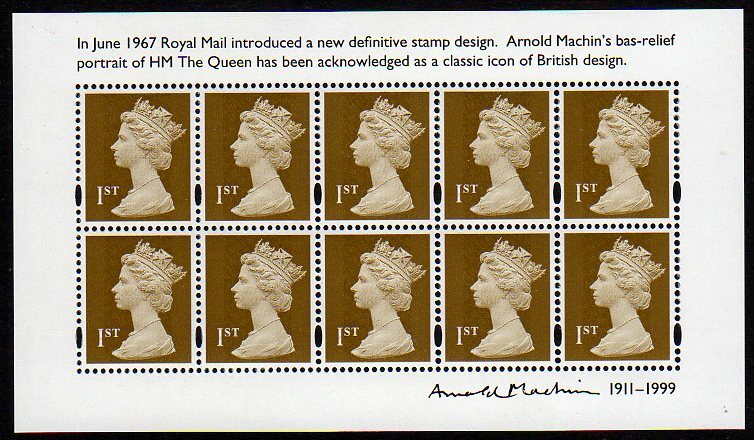 This has the year code AM11 and the source code MMIL. In full the relevant line of the overlay reads ALAM11ROYALMMIL.